With the season fast approaching, an overwhelming number of greenkeepers made their way to the recent SISIS Bowling Green Maintenance Seminar, in order to gain advice and tips on best practice. For a number of years, the Dennis and SISIS pre-season indoor seminars have toured the country and have successfully seen over 1800 ground staff in attendance. As they continue to grow in both size and reputation, the seminars are continually evolving with the people of the industry in mind. Dennis and SISIS recently hosted their first ever Cricket Pitch Renovation Day which has been hailed a huge success. Over the past few years Dennis and SISIS have held pre-season indoor seminars for anyone responsible for the maintenance of a cricket pitch. SISIS has successfully kick-started their 2017 series of bowls maintenance seminars, after the first two were recently held at Attenborough Bowls Club in Nottingham and the Ye Olde Knowle Bowls Club in Birmingham. A packed, enthusiastic audience of groundsmen attended the spring Dennis and SISIS seminar at the Emirates Stadium in Durham. Continuing its commitment to thought provoking seminars, Dennis & SISIS recently held one for Cricket Groundsmen at the SWALEC Stadium in Cardiff. Keith Exton, Head Groundsman of Glamorgan CCC, together with his Chief Executive Alan Hamer welcomed over 130 delegates to the seminar, all no doubt keen to visit a test match ground and learn from the experts. 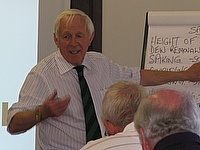 Committed to educating greenkeepers on how to maintain and look after bowling greens, Dennis and Sisis delivered two extremely informative, educational and interactive seminars to greenkeepers in Scotland and England. 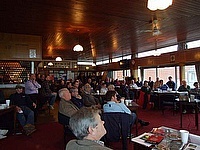 The 2012 Dennis and Sisis Turf Care Seminar programme sailed into the Isle of Man with a very successful and well attended day at the Ballafletcher Sports Club. Dennis & Sisis were pleased with the event and their well proven format certainly drew in the crowds. Over 70 people attended the day which encompassed a mix of technical presentations and demonstrations â€˜on the pitch'.